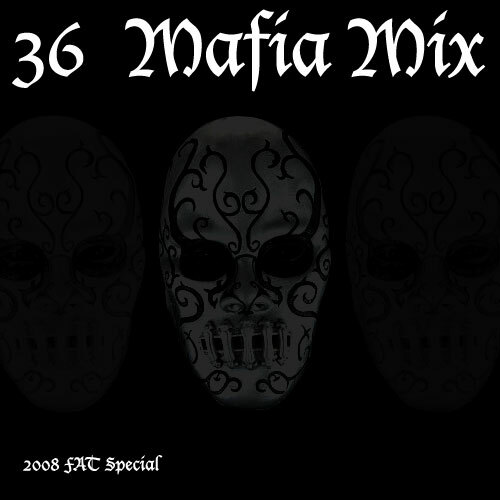 2008 – Three Six Mix | F.A.T. After enjoying everyones wicked mixes (loving evan’s and fru’s 08 mixes) I felt it was only right to throw up a mix minutes before 2009. As I was putting the tracks together I realized that 90% of the music I have been listening to in 2008 was Three Six Mafia – so here is a good representation of my musical year in 2008 – a mix of all 36 tracks. Most of these were discovered via the 36 player so some of the mp3 are of questionable audio quality. Hope you like it – it starts a little gangster and ends a little horror.